A little bit of applique and some quilting. It could be very effective! Mind you, I am a hand quilter in real life, and I have never done any stitching in the ditch, but I have yet to learn how to stop EQ showing the block outline as though it has been quilted. This entry was posted in Black and Gold Petals, Black and Gold Quilts, Quilt and tagged Applique Blocks, Quilting Design. Bookmark the permalink. 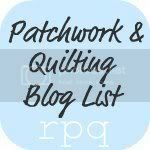 How are you getting the image of your quilt into your blog? If you print a quilt or export an image from EQ7, you have the option of not showing the outline of blocks or patches. Thank you … but I always choose the option to not show the outlines, and I don’t see them on the computer screen until I add them to a blog post. They don’t show if I print them. The lines don’t show as black lines as they do if you choose to show the outlines of pieces and blocks, and are not distinct except on dark fabric when they appear as light lines. I think it must be one of the quirks of the digital age! I usually don’t worry about it, but sometimes it affects the way others might see what I would do on a real quilt so only make a comment in the blog post if it really bugs me. Ooh that sounds like something worth trying but as quilters we still get and excellent idea from you quilt images. Nice design.